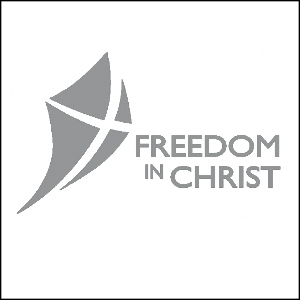 The Freedom In Christ Course is for any Christian who would like to grow and experience more in their walk with God. This Bible-based teaching focuses on knowing our new identity in Christ. It begins with what we BELIEVE and shows us the possibility of seeing change in the way we behave by identifying old thought patterns and habits from our pre-Christian life. By taking hold of this truth by faith we can be transformed to live the life God has called us to. We will also be looking at some practical tools to help us break free, and stay free, from all that holds us back. The course leaders will be Sash Vale and Sharon Engel. 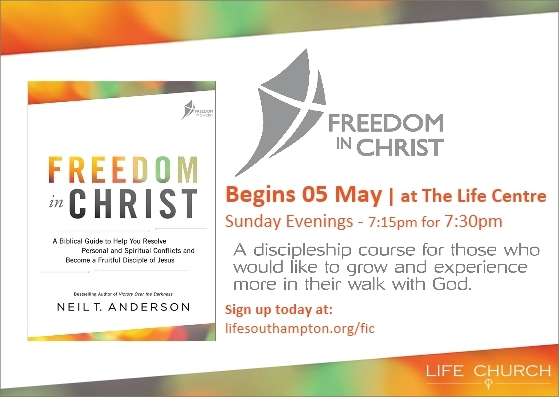 It will run on Sunday evenings from 5th May at The Life Centre, from 7:15pm, for a prompt 7:30pm start, and will include video teaching and discussion in small groups. Please reserve a place using the form below. I'd like to attend the upcoming course.